A “cyclo” is a bicycle-drawn taxi similar to a rickshaw, and, in this story, the nickname of an 18-year-old boy trying to scrape together a living in the desperate poverty of Ho Chi Mihn City. Cyclo lives with his grandfather (Le Kinh Huy) and two sisters (Tran Nu Yen-Khe and Pham Ngoc Lieu), and drives his taxi for a bitter woman (Nhu Quynh Nguyen) who devotes most of her time to her mentally unstable son (Bjuhoang Huy). When the pedal-cab is stolen, Cyclo is forced into a life of crime to repay the debt and falls in with a group of petty thugs led by a self-styled poet (Tony Leung Chiu Wai). What Cyclo doesn’t know at first is that the poet is also a pimp, and he’s been using his romantic wiles to lure Cyclo’s older sister into a career as a prostitute. 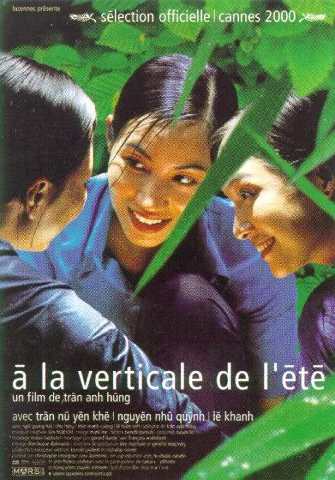 Cyclo was directed by Tran Anh Hung, whose breakthrough film was the acclaimed drama The Scent of Green Papaya.